At the rear of the church we have an air conditioned parent’s room that has lounge and speaker system that is linked to the main service. There is also a change table available (in the disabled bathroom). Each Sunday for our little ones we have a crèche which runs with a teaching program. This year our pre-schoolers will be looking at the life of Jesus from the bible and enjoy a story, some craft and some music time together. Kids Church happens each Sunday for our school aged children. They are grouped according to age and combine as a whole group and into their small groups throughout the lesson. The small groups help the children to feel a sense of belonging and care. This year the children will be learning from “The Gospel Project” curriculum. MYZONE is a program for children aged Kindergarten to Year 6 run by Green Point Baptist Church over 5 consecutive Sunday mornings. 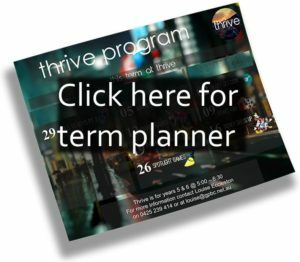 It is a fun, creative program that children will love. In August-September we ran MYZONE ShoutOut. ShoutOut was themed around ‘thankfulness’, encouraging the children to be thankful for their families, friends, and all that they have in their lives. In our culture of needing the latest and greatest, we want to challenge children to look for things they can be thankful for. There is always something we can be thankful to God for! Look out for the next MYZONE in June 2019. Registration is usually open online a few weeks prior to commencement. Please contact Louise for more information or if you wish to be notified of future MYZONE programs. Alternatively you may call the church office on 4369 1585. Main ly music is a fun music session for families with young children to enjoy together. Weekly sessions during the school year, are full of fun, educational music and musical activity to grow and develop your child, followed by something to eat and something to play with, plus time for you to eat and chat. Click here for more info. Come and join the fun! 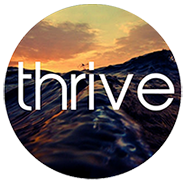 Thrive is a “junior youth” group that runs each Friday afternoon in school terms upstairs in the Jacaranda Room . Each afternoon is themed. 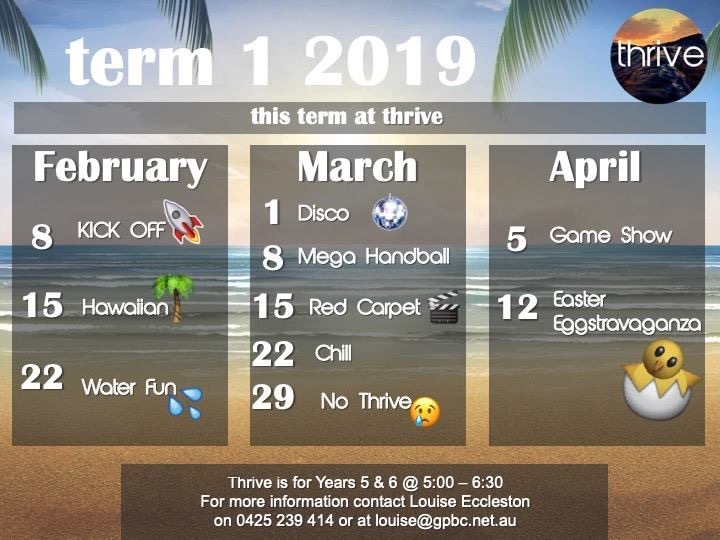 We play games, have some “hang out’ time, connect in groups with a leader and hear a Christian talk that is relevant for this age group. If you are in year 5 or 6 you are welcome to come along. See below for the term plan and contact Louise for more information. See you there! The safety of children is of utmost importance. Click here to view our Child Safe Policy.